A central heating leak can cause widespread disruption in your home or business. 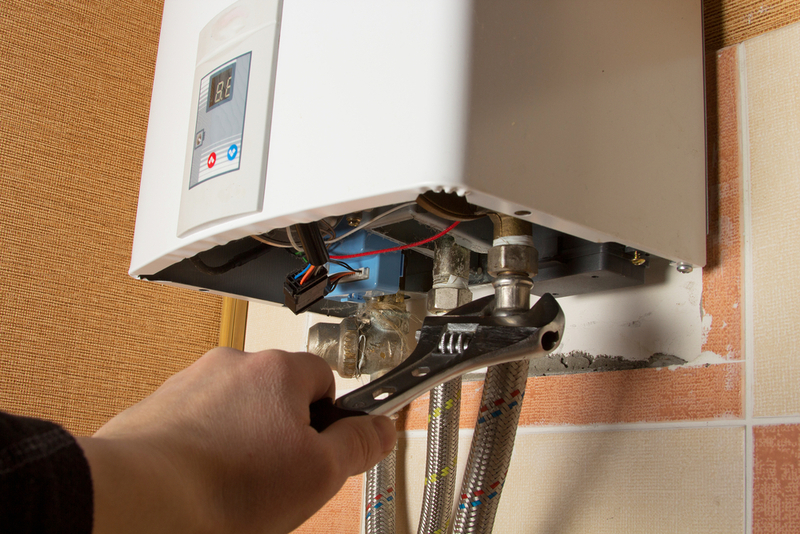 The leak may not be noticeable at first, but it can then cause the pressure to drop in your boiler – forcing it to cut out. On many central heating systems there’s a button to re pressurise this, but this can only solve the problem for a limited amount of time. At the very least the pressure drop will start to happen more regularly (leaving you chilly! ), but if the leak gets worse this can stop the central heating working completely. This can leave you without heating, which can be a big problem if the leak hits you in the winter months. Here at Cheshire Plumbers we specialise in providing central heating leak detection in the Cheshire area. We use the latest techniques to help us find the leak with minimal disruption to your home or business. Our methods help to track the heat loss, and pinpoint the leak – avoiding the need to fully replace pipe work. Using central heating leak detection also means that large amounts of flooring or walls don’t need to be pulled out to repair the damage, meaning the less must be paid to repair the area. Our leak detection in Cheshire is completed by skilled professionals who are highly trained in the industry. One of our most popular central heating leak detection methods is thermal imaging and all of our team are ITC certified thermographers, to ensure that you receive the very best service. We are located in Congleton and so provide our leak detection in Cheshire and throughout the surrounding areas. For a quote, or if you would like to find out more about our central heating leak detection service then please get in touch with a member of our expert team.